Whether you're trying to finally beat your Dad at Jeopardy!, actually enjoy them, or are just looking for a way to look smart on a first date, museums are pretty damn valuable. We should probably be looking for ways to say thank you to the people who make museums great. Instead, this weekend, they're going to thank you. More than 1,300 museums will say thanks by opening up their doors for free as a part of Museum Day Live on September 23. 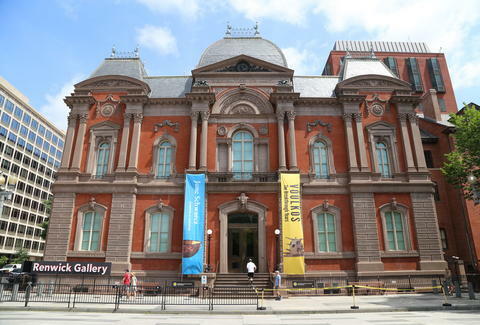 It's an annual event to celebrate museums and museum-goers across the country, organized by Smithsonian Magazine. There are museums across the country taking part, from Washington DC and Los Angeles to Hawaii and Alaska. The whole process is pretty simple. Use this handy search engine and map to track down the participating museums near you. Then download your free ticket(s) for the museum of your choice. It does require you to pick your museum ahead of time, but that's not all that much work to earn a free afternoon out. You may also want to check back in later this week, because more museums may be added up through September 20. But that's it. No other catch. Just remember to say thank you.